A refugee schoolchild reacts to the camera as they receive their new books on the first day of the new school year at one of the UNRWA schools at a Palestinian refugee camp al Wehdat, in Amman, Jordan, Sept. 1, 2016. Whatever its other failings, the Liberal government should be praised for its recent decision to contribute $25 million to help millions of Palestinian refugees scattered throughout the Middle East. The United Nations Relief and Works Agency (UNRWA), the UN aid agency for Palestinian refugees, is the recipient of the government's magnanimous gift. Canada's contribution will make up about 1.5 percent of UNRWA's overall budget: of which 54 percent is spent on education, 17 percent on health care, and 9 percent on relief and social services. A no-brainer you might think: no one could possibly oppose such a humanitarian gesture. Wrong! B'nai Brith Canada, a pro-Israel lobby group, had denounced the aid within about three hours of its announcement. Other criticisms will surely be rolled out when Parliament reconvenes, just as they were when the Liberals made a similar announcement in 2016. Last year, Conservative foreign affairs critic Peter Kent's first response was, "I'm horrified." Conservative leader Andrew Scheer's statement asserted wildly that, "UNRWA is an obstacle to achieving peace in the Israeli-Palestinian conflict." Really? A Palestinian refugee girl walks outside her family house in the streets at al-Shati refugee camp in Gaza City on July 4, 2017. Before delving into these aspersions against UNRWA, it's worth pointing out that whatever one may think of Hamas, Yasser Arafat, the PLO, Islamic Jihad, Sirhan Sirhan or any other Palestinian figure, a seven-year-old Palestinian refugee child in an UNRWA school is unrelated to them. Wanting to deny funding to Palestinian refugees because of a general antipathy towards Hamas is like denying aid to Canada's homeless because of anger over the Canadian government's internment of Japanese citizens during World War II. There are compelling historic and political reasons for Canada to support Palestinian refugees, whether through UNRWA or other channels. If ever UNRWA were proven to be a less-than-savoury aid partner, the solution would be to strengthen its accountability mechanisms, or find a worthy alternative partner: not to stop the aid. But the attacks on UNRWA feel like anti-Palestinian rhetoric more than anything else. For example, B'nai Brith alleges inappropriate relationships between UNRWA and Hamas. This accusation against UNRWA seems to be based solely on reporting from the Foundation for Defense of Democracies (FDD), a U.S.-based think tank known for its pro-Israel views, its pro-Israel donors, and its opposition to Obama's Iran deal. Most such accusations against UNRWA cite the FDD — or cite other articles which cite the FDD — creating a circular pile of flimsy allegations. The Palestinians and their leaders are no different from any other people: they are neither perfect nor evil. The FDD, for its part, suggests there is a link between UNRWA and Hamas because an UNRWA spokesperson — Chris Gunness — spoke at a 2015 event in London, England for the Palestinian Relief and Development Fund (Interpal), a British charity. For the FDD, this speech was problematic because Interpal had previously been accused of directing money to Hamas. The FDD fails to mention, however, that the British High Court dismissed such allegations three times, in 1996, 2003 and 2009. And of course, the only supposed "link" between UNRWA and Interpal cited by the FDD was the Gunness speech. Palestinian children warm up in front of a fire in a hovel during the cold and rainy weather in the Jabalia refugee camp in the northern Gaza Strip on Jan. 28, 2017. Yet another critique levelled by B'nai Brith is that in 2015, UNRWA employees used social media to "celebrate terrorism." A bit of digging on this topic again reveals a far less dramatic picture. Not surprisingly, UNRWA requires all of its employees to abide by all UN standards of neutrality and integrity, and employees are subject to monitoring during and outside work hours. Researching the allegations, UNRWA found that despite its staff code of conduct, a few employees had indeed used personal accounts to incite anti-Semitism, and UNWRA subsequently took disciplinary action with these employees. Nevertheless, as an organization, UNRWA in no way sanctioned or promoted such behaviour. It is interesting to note that in the course of their investigation, UNRWA and Facebook found that more than 90 supposedly anti-Semitic Facebook accounts identified by accusers were proven to be aliases falsely posing as UNRWA staff. The Palestinians and their leaders are no different from any other people: they are neither perfect nor evil. They are an impoverished population living under Israeli military occupation, with all the attendant challenges. It is reasonable for Canada to demand accountability for its aid dollars, whoever the recipient may be. But Canada should also protect its aid dollars from mean-spirited or prejudiced influences here at home. 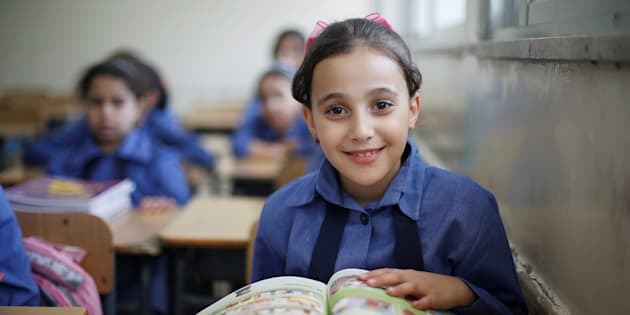 Whatever the wrongs of the past, Canadian aid to educate a seven-year-old Palestinian refugee child is money well-spent.